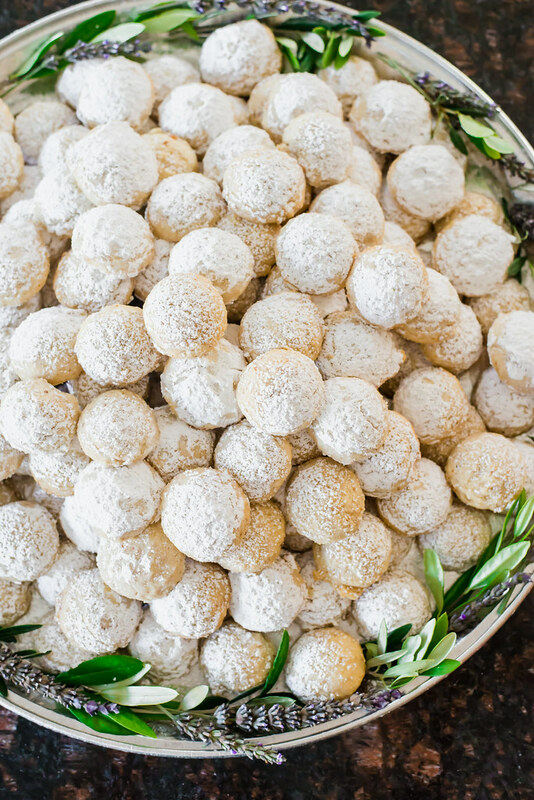 The perfect Holiday cookie, Italian wedding cookies are light as air with ground almonds, powdered sugar and lots of butter! I love these little Italian wedding cookies. They’re like little pillows of snow lightly crumbing on your tongue. Consisting of mostly ground almonds which is what makes up the delicate and crumbly bite. A healthy dusting of sweet powdered sugar adds just enough sweetness without overwhelming the neutral nutty flavor. 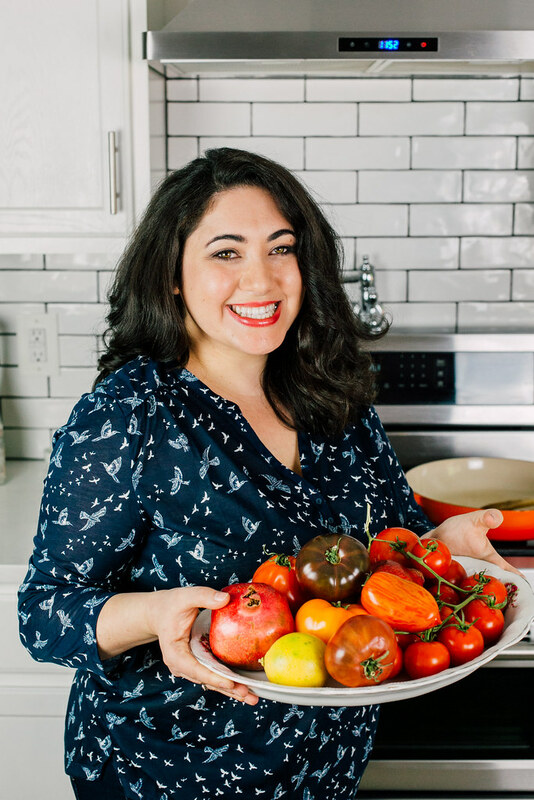 I bake an enormous amount of cookies for the holidays and even though Italian wedding cookies are always top of the list, they are not the only ones I like to bake. My cherry pistachio rugelach are always a winner and, honest plug: they were even mentioned in the Los Angeles Times! And I would totally add these double chocolate chip cookies or these apple peanut butter cookies to any cookie gift box! Funny story- Hubby’s mom asked me to make a batch of this easy wedding cookie recipes for a family friend. When I told her I would whip up some Italian wedding cookies, she quickly replies with, “No, don’t tell them they’re called that. They might think I’m rushing them to get married!” Ha! Mexican wedding cookies- Add 1 tsp. cinnamon to the batter. Substitute different nuts: Walnuts, cashews and hazelnuts would be great alternatives. Add pecans to make “Russian tea cakes”. Substitute vanilla extract for almond extract for a more intense almond flavor. Or you can include both vanilla and almond. Preheat oven to 325 degrees Fahrenheit and line 2 baking sheets with parchment paper or a silpat mat. 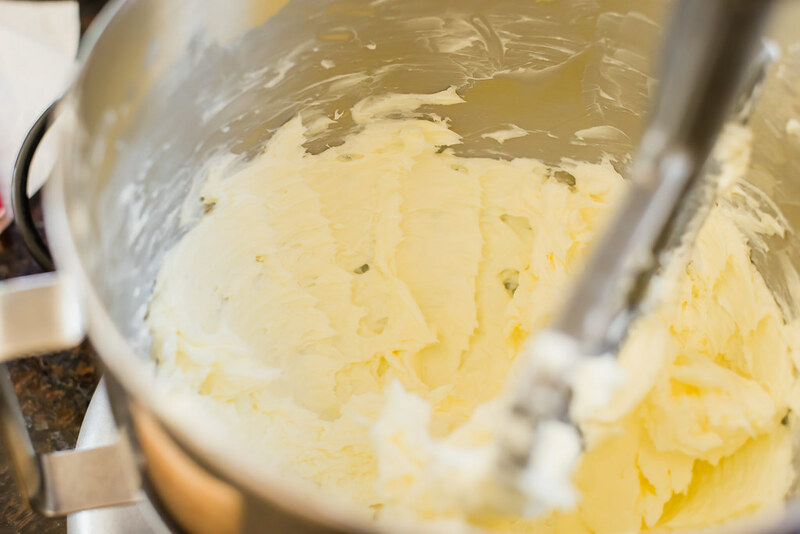 Cream butter in mixing bowl and gradually add powdered sugar and salt. Beat until light and fluffy. 3. Add ground almonds and extracts and mix until combined. Blend in flour gradually and mix until everything is combined. You may need to use a spatula to scrape the sides and bottom. 4. 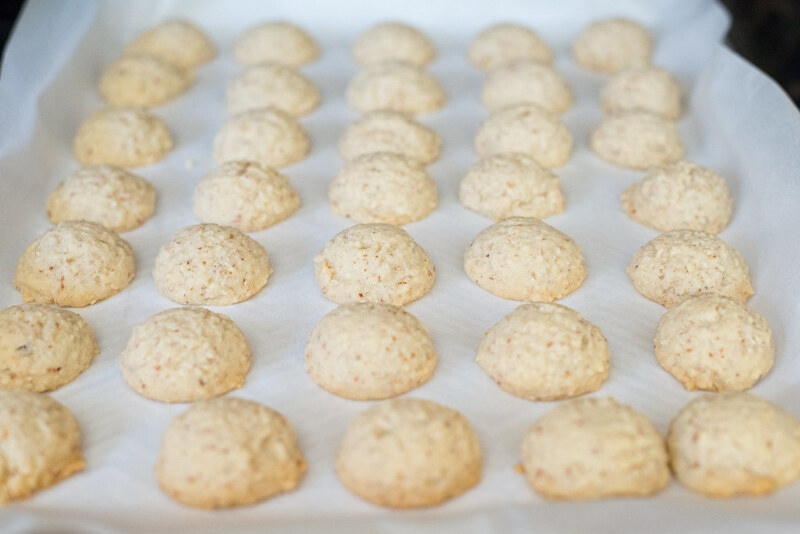 Using a melon baller or cookie scoop, shape batter into balls and place on parchment line cookie sheet. You can space them close together but they should not be touching. 5. Bake Italian wedding cookies for for 22-25 minutes until just lightly browned and make sure the cookies do not get golden brown, they should be light in color. 6. 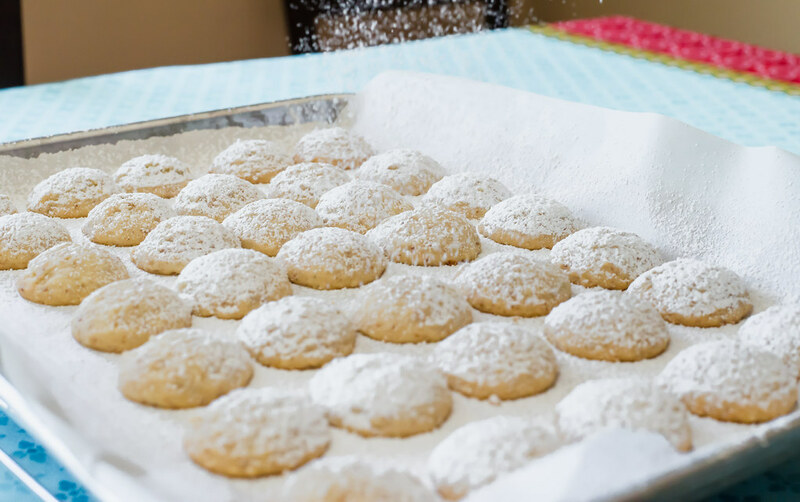 Allow Italian wedding cookies to cool and evenly dust with powdered sugar. 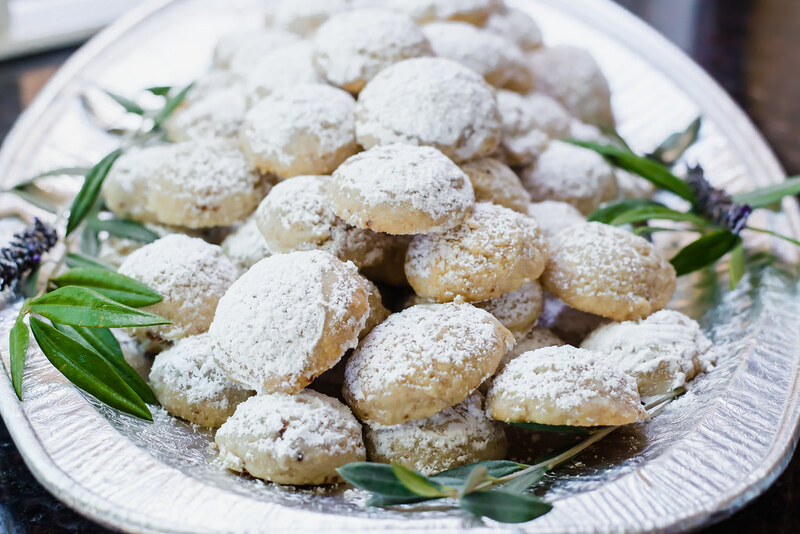 The perfect Holiday cookie, Italian wedding cookies are light as air with almonds, powdered sugar and lots of butter! Add ground almonds and extracts and mix until combined. 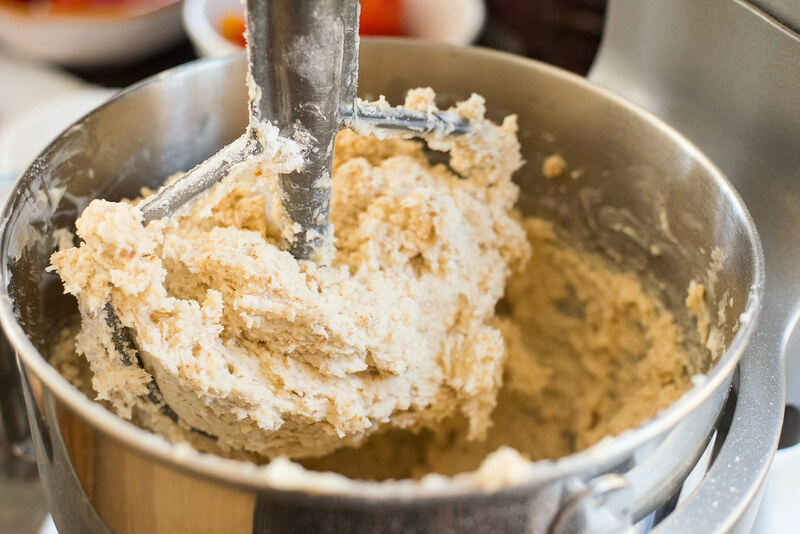 Blend in flour gradually and mix until everything is combined. You may need to use a spatula to scrape the sides and bottom. 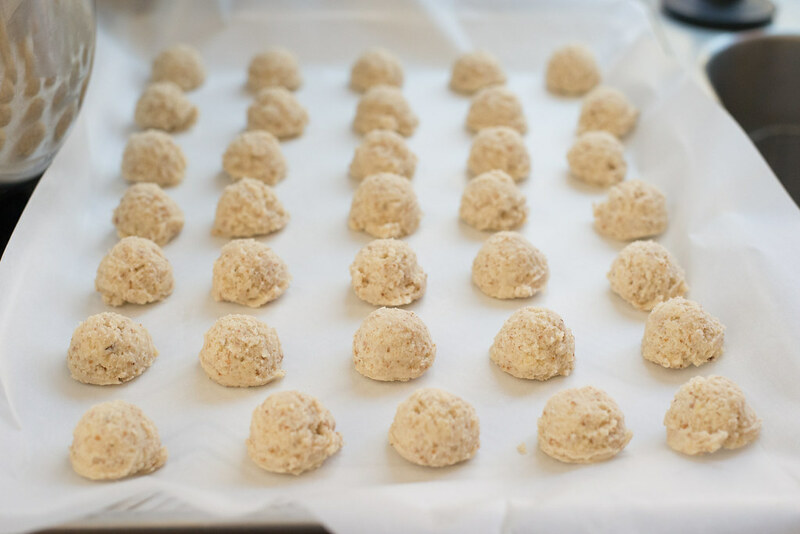 Using a melon baller or cookie scoop, shape batter into balls and place on parchment line cookie sheet. You can space them close together but they should not be touching. Bake Italian wedding cookies for for 22-25 minutes until just lightly browned and make sure the cookies do not get golden brown, they should be light in color. 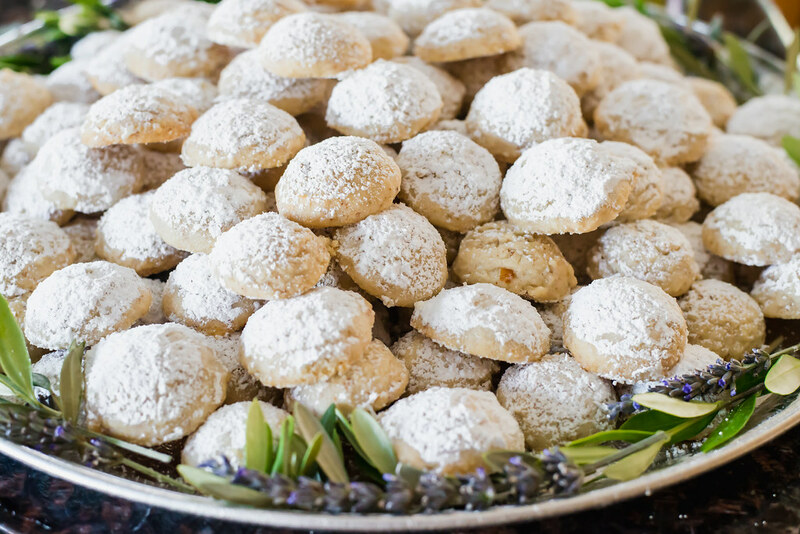 Allow Italian wedding cookies to cool and evenly dust with powdered sugar.